Providing A Link To The Therfield Outdoors. When the owners of this recently build property in Therfield wanted to add a bespoke conservatory to the rear elevation of their home, they naturally visited the Cambridge Conservatory Centre for advise. 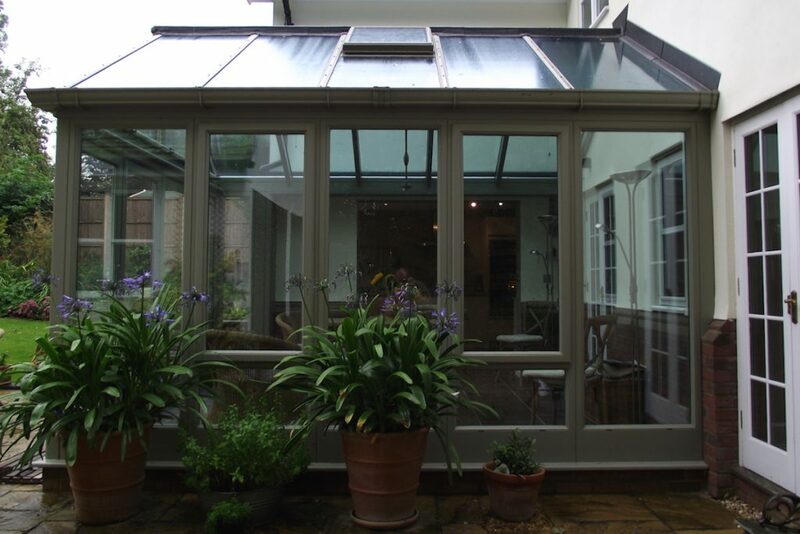 Their home was beautifully detailed and they knew they needed the same quality to extend to their new conservatory. 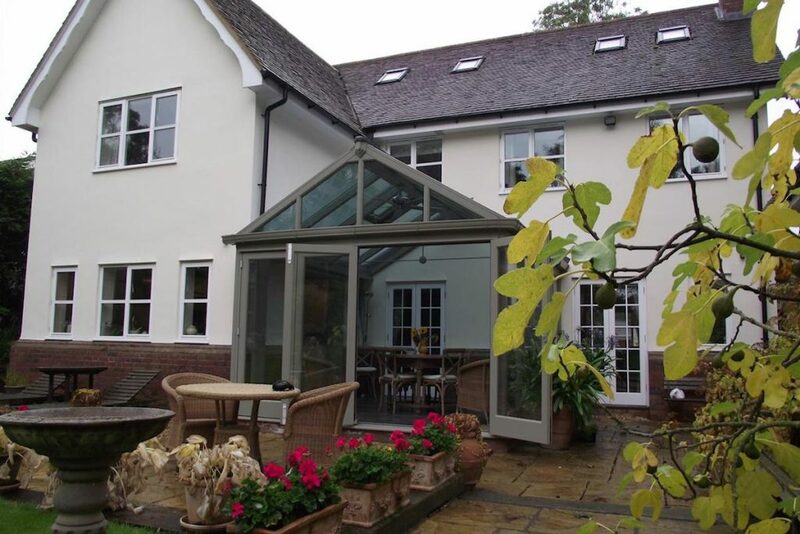 While many conservatories are built from uPVC, the owners of this home wanted the natural feel of a hand finished hardwood frame. 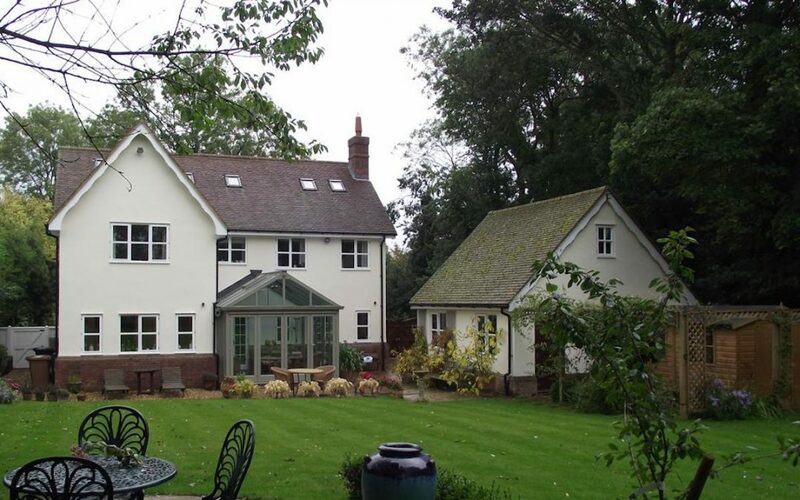 Relishing the opportunity to be involved in such a fabulous project, we worked closely with the owners to design and build an extension that not only gave them the space they were looking for but which also added value and beauty to their already stunning home. Wanting to provide a direct link to the garden and create a space where they could dine in a relaxed and informal manner, the new conservatory was positioned in a sheltered corner which is accessed from the kitchen and living rooms. 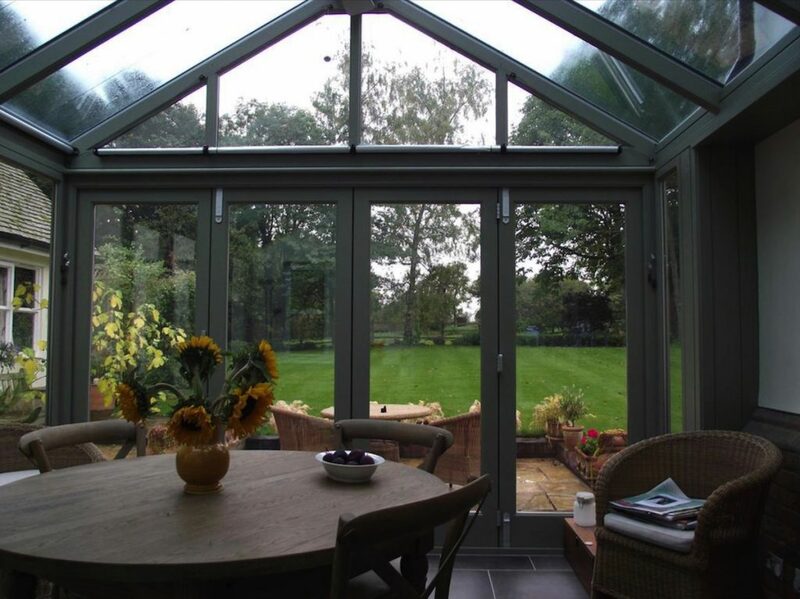 This conservatory extension in Therfield is the perfect mix of beauty and practicality. Finished in a subtle grey green, it sits perfectly as a link between house and garden. The owners chose a smoky coloured glass which reflects heat without impacting on the view of the garden through the windows. At night, the stars can be seen clearly through the fully glazed roof which allows maximum light in every season. Folding doors were fitted to open up the casual dining space to give direct access to the garden and the outdoor seating area beyond. 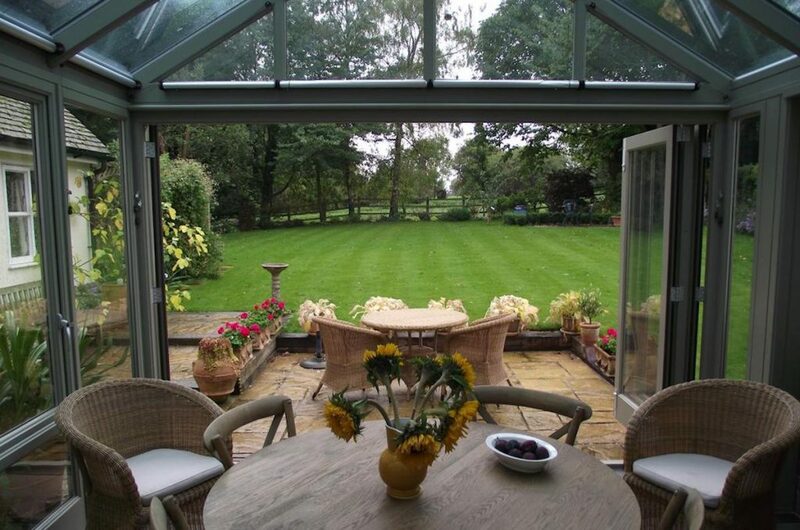 A stunning vista, borrowed in part from the Therfield fields beyond the borders of this home, add to the tranquility of this perfect spot to enjoy a meal or a casual cuppa with a friend. And on days when entertaining is called for, the flow from inside to outside is truly spectacular.